I was going to update my first post but found so many of the things to have changed. I figured this would be a good follow up post now that I'm not looking at it through such Newbie eyes (but still kind of a newbie, at least until next week). I'm really loving the combo of the two and it's turned my iPad into a mini laptop. 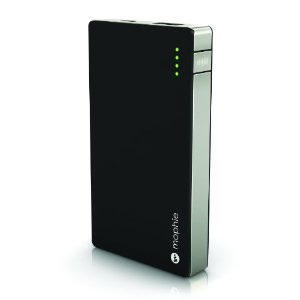 In order to keep everything charged so I can tweet and facebook and instagram and look at my ever growing schedule and make sure I don't get myself lost trying to find another great food cart, I've picked a mophie powerstation. 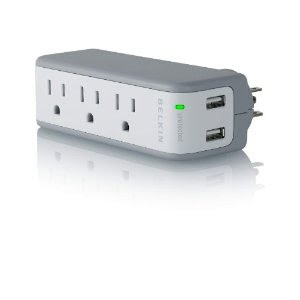 I also got this surge protector that will probably earn me a few friends during the conference. I love that it has both plugs and usb ports. 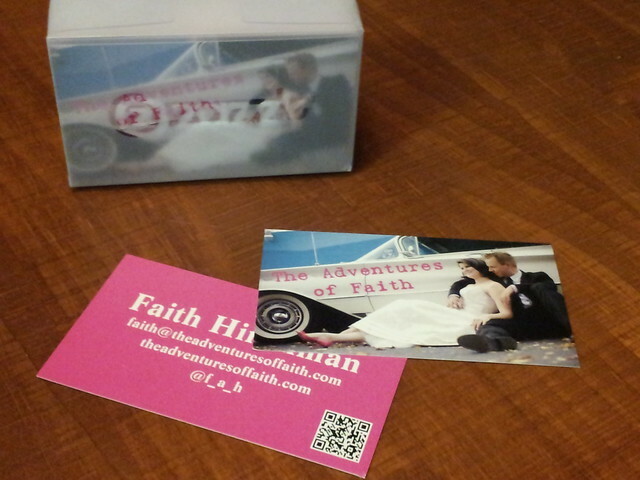 I got 300 of these business cards to pass out from Zazzle. There was a mixup with DSW and my order didn't arrive and then the neutral wedge I was going to buy was sold out. I really don't want to break in any new shoes while in New York so I kind of gave up after that. However, I couldn't resist picking up these red wedges on clearance for $9. They're so comfortable and I'm so happy to finally have a red shoe that I can wear again. Otherwise I'll have my TOMS to go sightseeing in. I just don't want to leave myself without a little heel variation like I did in Europe. I also plan to bring some ziploc bags to make icepacks to help with my swollen old man toe. Let's just hope my cankles stay away! Clothing wise, I really just shopped my closet. I picked up a few accessories and a couple of tops, but they were things that I really needed. I did get a new pair of jeans since mine are getting too snug. I did buy a cute dress off Piperlime, but it was too small. I also picked up a new pair of faux spanxx since mine are getting a little worn out. Spanxx and thigh chaffing have been major points of discussion on the BlogHer Facebook page. I apologize to all the men that are going. I also decided against a new bag. Instead I'm taking my crossbody bag I took to Europe. I decided it was the best choice since I'd want to have my hands free and not lug a shoulder bag around. I'm also taking a wristlet with me for parties and such. MamaPop Sparklecorn 2010 from The Panic Room Videos on Vimeo. 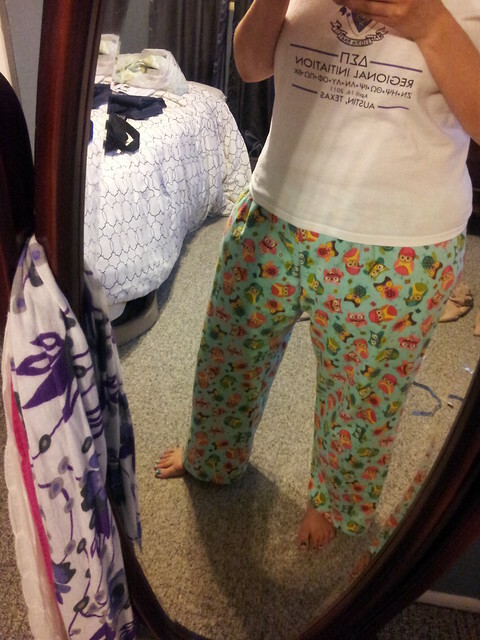 I also made pants. My roommates will probably thank me for this. They're a little shorter than I had planned, but for my very first time sewing pants let alone anything since I was 14, they turned out pretty damn good. I still have one more pair to put together this weekend. I'm going to shorten the waist to give me more length in the legs. After that, all that's pretty much left is to pack. I'm going to spend tomorrow sewing pants and putting together outfits. I may have to wait to put everything together because I'm not sure how to hide a suitcase full of clothes during a showing. I also need to figure out how I'm going to pack. I keep hearing people saying they're packing a bag and putting inside a larger suitcase. I guess the plus side to that is that I get to check two bags for free on my way home! To stay organized I'm using a couple of things. An excel/shared google doc of my schedule. A really helpful thing that I did on here was to add my outfits for different days and events. Hopefully it'll keep me from totally over packing. I also have my entire schedule including travel times on my calendar. I can pull it up on my phone or the iPad. I hadn't originally planned on doing this, but I think having the reminders pop up on my phone will make sure I leave places on time. I created a custom google map as well. It has all the locations I need to be at and I added the event, date and time to each location. I can also pull this up on my phone in case I'm walking there. App wise, I've got all my tickets on the Eventbrite app and downloaded HopStop so I can navigate the NY subway. I think for session note taking I'm going to do plain old pen a paper. I'm a bit undecided on this. I can type on the iPad with the keyboard I'm just not sure how maneuverable it might be. I may just play this one by ear. Can't wait for blogher 2012. Those wedges are a great choice. Super comfy! I am so jealous that you're going! You'll have to fill me in when you return! 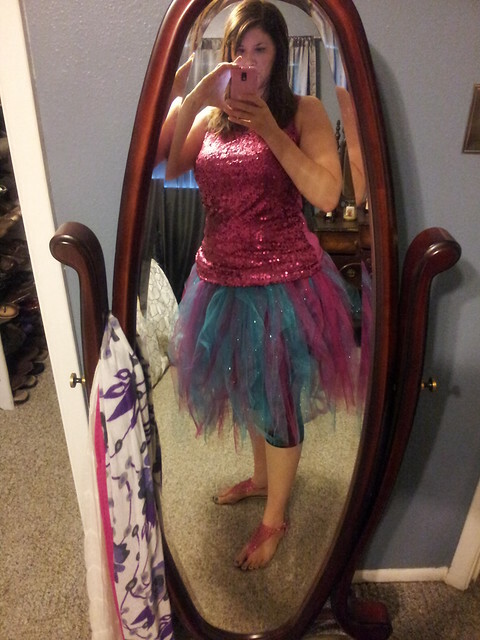 woohoo, love your sparklecorn outfit! will be at blogher as a newbie this year too. Good luck & see everybody soon! !